More than $3.5 million in taxpayer money has been spent this year subsidizing little-used, sometimes empty commercial flights out of two local airports, according to a review by the News4 I-Team. 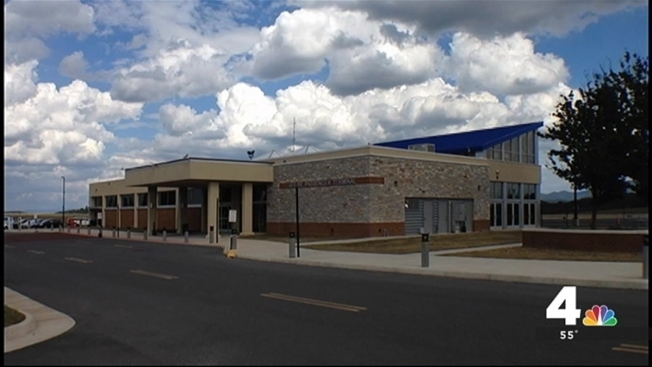 Those flights, from Hagerstown Regional Airport in Hagerstown, Maryland and Shenandoah Valley Regional Airport in Weyers Cave, Virginia are part of a controversial federal program called Essential Air Service. The program, which costs $246 million nationwide each year and supports several dozen airports in small cities, is under increasing scrutiny amid tight federal budgets. The I-Team's review found some of the local flights depart without passengers or nearly empty loads. Federal regulations require the planes to be flown, with or without passengers. Essential Air Service supporter, including federal regulators and the air carriers who fly the routes, champion Essential Air Service as a link between remote cities and the nation's aviation system. The program is overseen by the U.S. Department of Transportation. Federal regulations require several daily flights be flown under the program. Taxpayer watchdog groups say the flights have limited popularity and require subsidies from federal taxpayers. The I-Team's review of federal records show an average of two to three passengers takes each of the daily flights from Hagerstown, which head to either Dulles International Airport or Pittsburgh International Airport. Taxpayer money offsets the cost of the flights. The I-Team found each passenger's ticket required a $560 subsidy from taxpayers in 2015. At the Shenandoah airport, $128 in taxpayer subsidies are needed for each passenger who flies on one of the airport's regular Essential Air Service flights to Dulles. Taxpayers for Common Sense vice president Steve Ellis said the program is a poor use of federal funding, because of its low passenger loads. "All of these small towns think it's part of their identity," he said. "[They think] there wouldn't be as much of a town if they didn't have their own airport." "These flights are little used, but they have passionate backers," Ellis said. I-Team cameras filmed an empty flight departing Hagerstown for Pittsburgh on a Thursday afternoon in September. They also captured video of an empty flight arriving at the airport the same afternoon. Essential Air Services flights also are offered in Beckley, West Virginia; Prescott, Arizona; Joplin, Missouri and Altoona, Pennsylvania, and in a total of 160 U.S. cities across the country. A spokeswoman for the U.S. Department of Transportation said the Essential Air Service is a vital program for small cities. "This program ensures that eligible rural and small communities are connected to major hub airports, giving a variety of stakeholders access to and from these communities, from which other economic and social benefits can be realized," he said. A spokesman for Sun Air, which operates the Essential Air Service flights from Hagerstown said small communities are entitled to access to the larger American aviation system. The carrier's flights feature low-ticket prices and 98 percent reliability, he said. The I-Team tracked down a passenger who used the Hagerstown to Dulles flight as part of his regular business travel to Denver. Mark Kamensek of Frederick County said he capitalized on the free airport parking and short security lines at Hagerstown. "This is something that really is keeping small towns in America afloat," he said. "It's a great service to us."